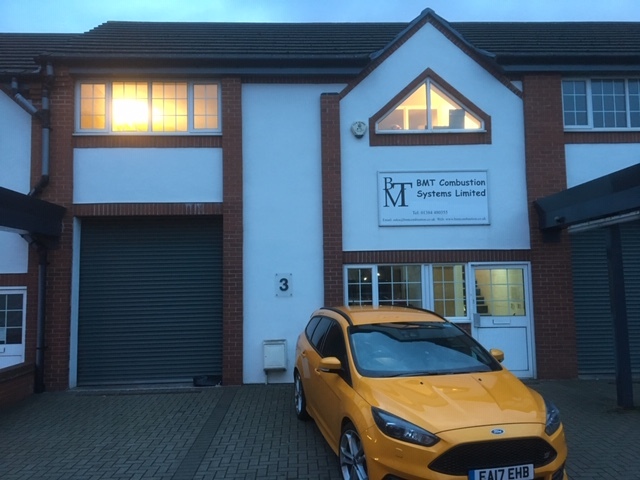 BMT have recently moved premises, Still within the Silverend Business Park we have moved out of Unit 9 and into Unit 3, this being off Brettell lane and in Brierley Hill, Dudley. 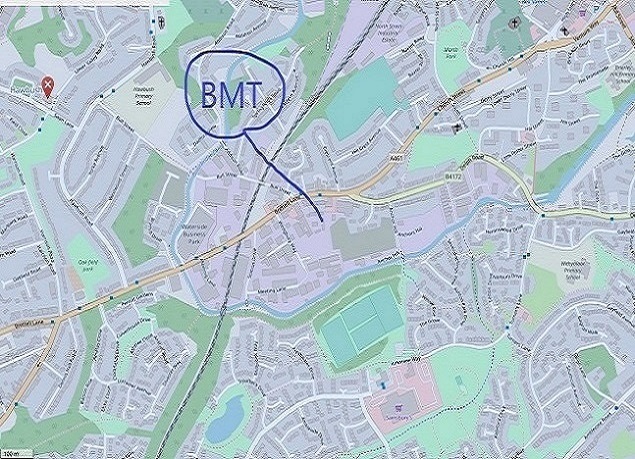 BMT are based in the town of Brierley Hill which is close to Stourbridge and part of the larger area under Dudley Metropolitan Council. Stourbridge is better known for its once bustling lead glass industry, sadly, these days there are few reminders of the original glass works created in the 1800's by French immigrants. We have office premises with a workshop located off Brettell Lane which is the main road from Stourbridge to Brierley Hill (A461). If you call in to see us, please walk up the stairs and into the upper reception area. The Company will provide Combustion related Expertise to our growing Customer base and build long term relationships which will assist the Company and its Customers to enhance their service levels and profitability. We intend to expand in a controlled manner, provide a quality service, continually develop new and existing markets, assist our employees with regular training and provide a professional approach at all times. It is our intention to provide our customers a combustion service exceeding their expectations and to provide a service of perceived value in a timely fashion. Furthermore, we undertake to perform our duties in a professional, mature and considerate manner. ...high fuel (gas, oil, coal) consumption? ...your system working off ratio? ...look for more heat input? ...experience combustion system reliability problems? ...burner management unit problems? ...experience burner flame failures? Contact BMT Combustion Systems we offer solutions to your issues with all kinds of support: telephone assistance, spare parts, sysytem updates, an engineer's visit, full contracts. In Industry today, economic and environmental concerns are a crucial factor. BMT can offer the very latest technology for reducing energy usage and actively encourages the use of environmentally friendly combustion equipment and systems. Our systems are optimised to minimise the amounts of 'Carbon Dioxide' and 'Oxides of Nitrogen' emissions, ensuring a consistent and considered fight against World Pollution. BMT have many years of combustion experience with which to offer our customers a suitable, efficient and considered process heating solution. Please contact us at your earliest convenience with your heating requirements, combustion problems or new equipment needs. BMT can provide resources, materials and epertise to address issues, fuel consumption, worn parts, system upgrades, regulation compliance, new requirements. All industries have been served over the last forty years, metals, non-ferrous, aluuminium, refractory, brick, heat trestment, food, asphalt, aggregates, glass, ceramics, textiles, chemicals, drying and process heating. Following an assessment by an independent organisation, BMT Combustion Systems Limited has been successful in achieving ISO 9001 Certification, This Internationally recognised prestigious award for Quality is an International Standard in use worldwide as the benchmark for Quality. BMT's investment in Quality control have resulted in re-assessments during 2008 and again in 2015 to bring BMT's system into full compliance with the scope of the updated regulations, currently this is compliant with the 9001:2015 version. The award recognises BMT Combustion's commitment to an exceptional quality of service. With only a small number of UK business holding this Certificate, BMT Combustion are now at the forefront of quality service and customer care. Said a delighted Bryn Sheppard (Managing Director) "we have always been proud of the service we offer our clients. Now with the award of ISO 9001, this has been confirmed by outside experts. BMT invest time and money in the development of their staff, both internal and external, happy in the return this investment provides wiith our customer support. BMT Combustion Systems Limited, Unit 3, Silverend Business Park, Brettell Lane, Brierley Hill, West Midlands, DY5 3LG.